It’s safe to say that time, money and effort are all key components to the running of a successful business, no matter what the industry. A serviced office is a fully equipped, flexible and convenient alternative to a regular office, and proves beneficial to businesses of all kinds. One of the main benefits of using a serviced office is the potential cost savings for businesses. With a serviced office space, all of the costs associated with the initial set up of a conventional office are removed. Businesses are not required to provide their own furniture, printing and copying equipment, phone and internet connections and so on. Hidden lease costs can also be avoided, as well as the need for additional investment into facilities such as meeting rooms and kitchenette areas. Overall serviced offices can result in substantial savings for businesses. 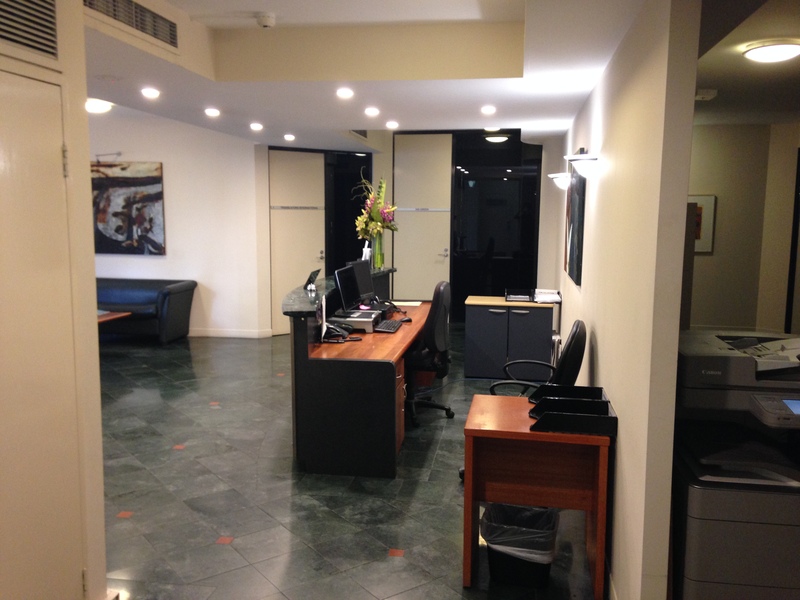 Compared to conventional office spaces, serviced offices are extremely flexible. Serviced offices can often be leased for shorter periods, generally ranging from one month to one year. These shorter term lease can be beneficial to start up companies, businesses with unusual cash flows, or businesses looking to expand into new markets. Serviced offices may also offer flexibility with office layouts and scaling adjustments for upsizing or downsizing businesses. At a serviced office space, you pay for what you need, when you need it. A conventional office may include a conference room or meeting room which are utilised on an infrequent basis. At a serviced office, such facilities can be hired on a “pay-per-use” basis, offering a more convenient and efficient solution for businesses. On top of this convenience, a serviced office is always occupied with a team of professionally trained staff who are there to keep on top of tasks such as reception, administration, IT support, cleaning and security. Businesses can gain valuable management time by utilising a serviced office. Serviced office facilities come with the option of numerous professional business services to assist companies with their administrative and reception tasks. Some of these services may include travel bookings, document storage, meeting room hire, phone answering, bookkeeping, diary management, secretarial support, mail collection/forwarding and much more. Businesses can truly benefit from a fully-supported office environment which allows them to focus more time on the development and management of their company. When using a serviced office, businesses are not obliged to hold the fixed assets associated with owning an office, and can therefore change the size of their space according to their growth rate. With the option of IT services, telephone systems, office equipment and fully managed administrative support, any concerns of operational fault or risk associated with running a business are considerably reduced. If you are looking for a fully serviced office space in Perth, contact Kings Park Business and Secretarial services!